Download "Cook's Dare to Compare Checklist!" At Cook, we work hard to make every one of our buildings superior to our competition. 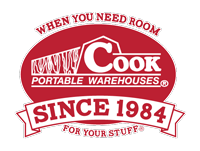 From unique building features, to flexible purchasing programs, to quick delivery times and superior customer support, we believe a Cook shed is the smartest buy you can make. But don’t take our word for it. 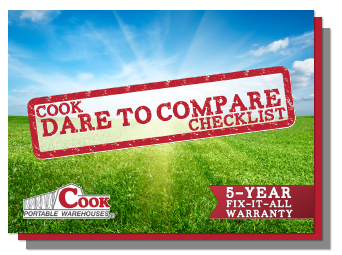 Print or keep this checklist handy when you’re shopping for a portable building and compare the features, options and offers from Cook to that of our competitors.